It has an exceptional set of amenities and a strategic location. 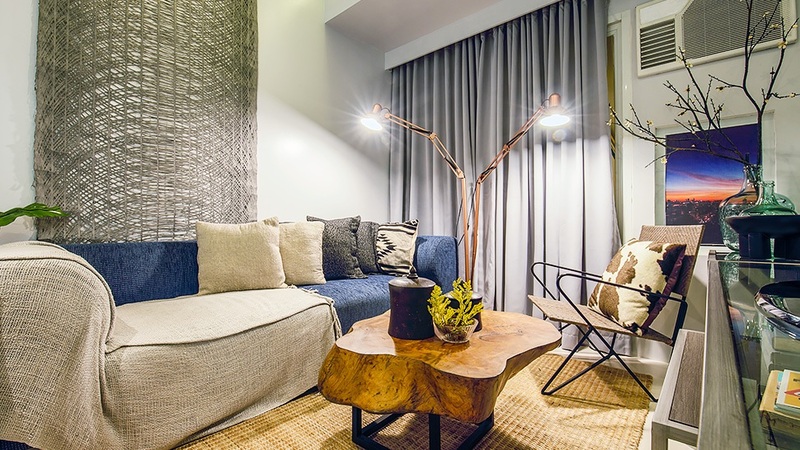 Actual living room of a 2-bedroom unit showcased at the Robinsons Communities Display Lounge located at the 4th Level, West Wing of Robinsons Galleria. Many condo developments have been built around the metropolis, but only a few can very well match your wish list. Some may be situated in a great location and have excellent amenities, but the price is unreasonable. Or you may have already found a condo that you can very well afford, but neither the location and the amenities suit your needs. With Chimes Greenhills, you get a balanced combination of a prime location and a wide array of amenities. It is conveniently located along Annapolis Street in San Juan, near business establishments and shopping centers in Greenhills. It's also close to several schools, establishments and major transportation hubs. Chimes Greenhills stands tall at 40 floors. The number of units to a floor has been kept to a minimum to deliver a pleasant living experience, allowing future residents to experience more privacy given this kind offering. A feat that Chimes Greenhills is most proud of, as most affordable condominiums are usually found to have more units in a floor. 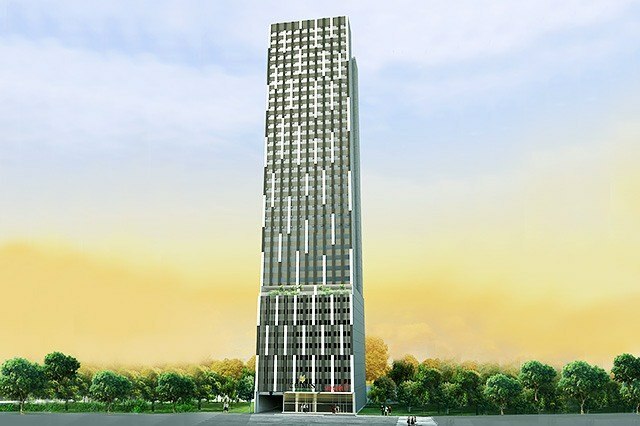 Adding a touch of prestige to the development will be Summit Hotel to occupy 5 levels of the 40-storey building. 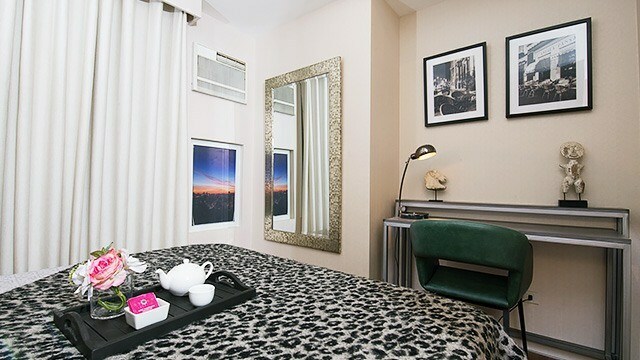 You can choose from studio, one-bedroom, two-bedroom, and three-bedroom units with sizes that range from a cozy 22 sq. m. to an expansive 126 sq. m. Select units even come with utility areas for extra room or storage space. 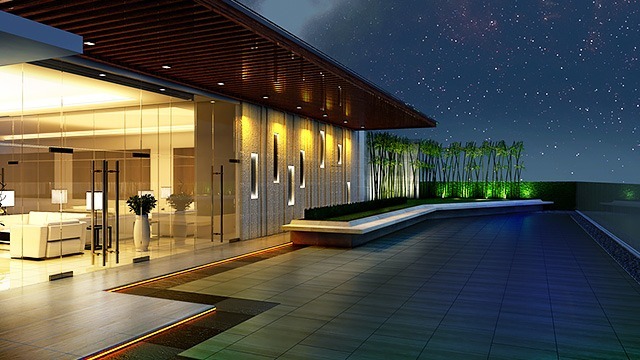 The Sky Garden at Chimes Greenhills will provide residents access to breathtaking views of the city skyline. Whether you are a single, young professional who relishes his or her independence, a newlywed couple, or a starting family, there is a unit just for you at Chimes. 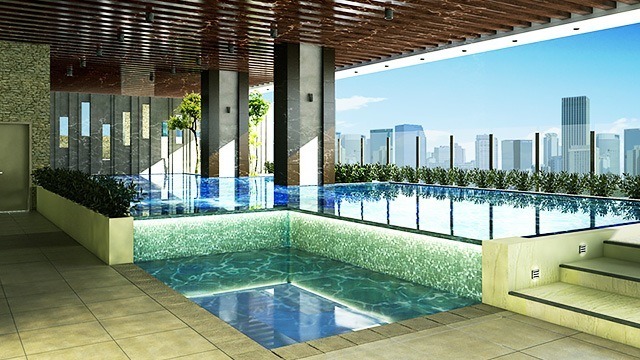 Artist's rendition of the Leisure Pool at Chimes Greenhills. Chimes Greenhills has a charming list of amenities that are comparable to the offering most high-end condominiums in the Metro. It has a separate leisure pool for both adults and kids. It also comes with a Life Fitness gym, a play pod, a game station, a private theater, a sky lounge, and sky garden. All these are designed to provide future residents ample opportunities for rest, recreation, and bonding with family and friends. 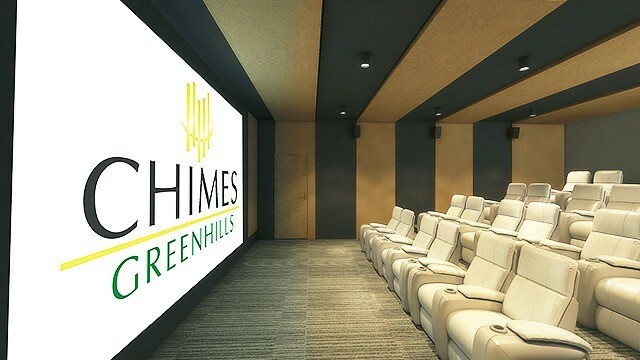 Future residents of Chimes Greenhills will have the luxury of a Private Theather within the comforts of their own home. 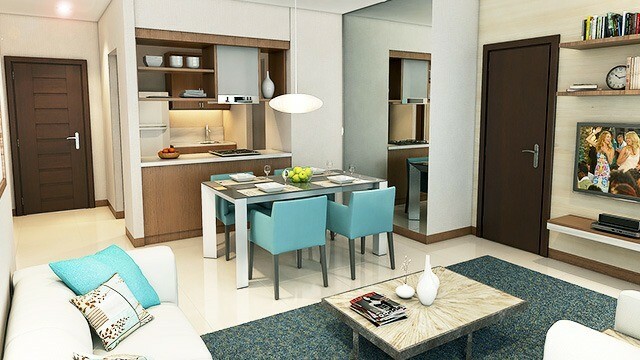 Chimes Greenhills also provides top-notch unit deliverables and finishes. Bedrooms come with their own closets, kitchens will have granite counter tops with cooktops and modular cabinets while all bathrooms will have all toilet and bath essential fixtures requiring no additional fee—indeed a value for money for homebuyers. Artist's perspective of a two-bedroom unit. 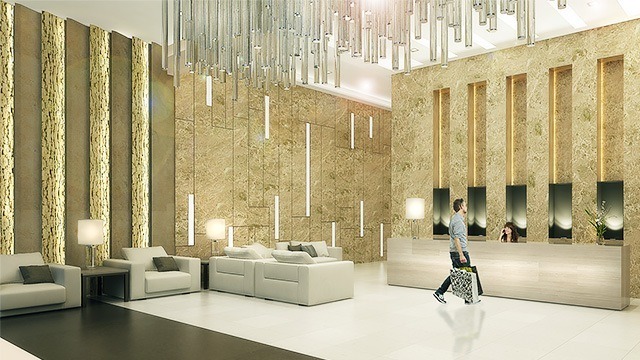 Artist's perspective of the Chimes Greenhills lobby. At Chimes Greenhills, your safety is also an utmost priority. The building has CCTVs installed in selected areas and has standby power generators in case of power failure. It also has a centralized water distribution system, high-speed elevators, and a centralized garbage collection system. Chimes Greenhills also has a model unit located at the Ground Floor of Platinum 1000 along Annapolis Street in Greenhills. And the best part: This luxurious lifestyle can be yours for as low as P12,000 a month. You don't have to bend over backward and incorporate drastic changes in your lifestyle in order to afford it. It is definitely an investment that won’t cost you a lot but will let you reap big rewards. Reserve your unit at Chimes Greenhills. Talk to a Robinsons Land agent today. For more information, go here. This article was created by Summit StoryLabs in partnership with Chimes Greenhills.